Treatment of oil and natural gas to yield marketable products. The system describes the way our company is managed with respect to our stated HSE policies and strategic objectives. The HSE system ensures that the safety critical activities of the company in Pakistan are identified controlled and that measurements are made and reported so as to enable monitoring of overall performance and identification of areas for improvement. This HSE System addresses the organizational structure and responsibilities of people, the management of resources and documentation required for sound safety performance for all OGDCL activities. 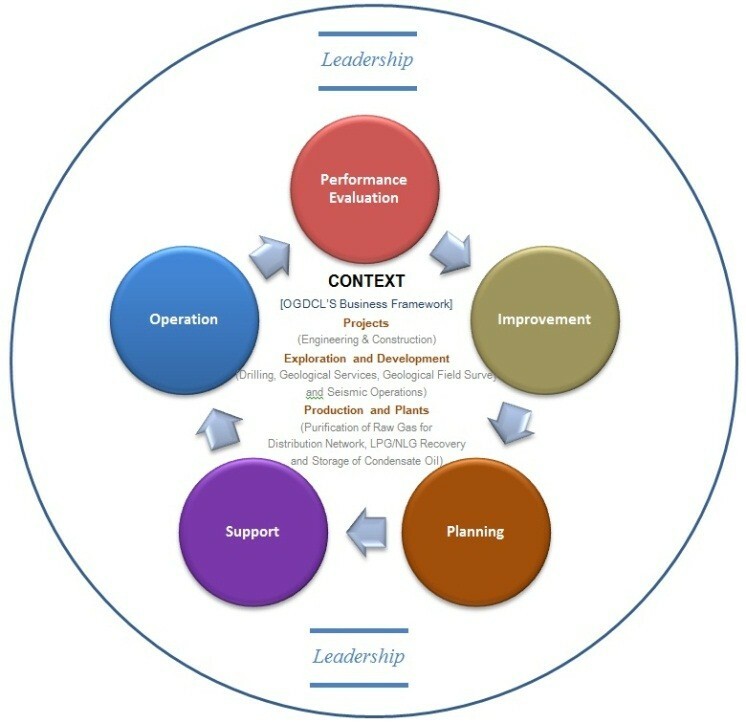 The document provides the framework for planning of work activities, which include existing operations, management of changes and developing hierarchy of procedures both for the normal as well as abnormal conditions. OGDCL’s HSE System is divided into Nine (09) Elements and Thirty One (31) Procedures, corresponding to the Main Sections & Subsections of ISO14001, ISO45001, OHSAS18001, ISO31000 standards and OSHA’s PSM guidelines. For implementation of the operational controls at unit/ sub-unit levels, we have developed three OGDCL’s Safety Handbooks as follows – workforce's handy workplace safety documents which have been distributed to all workforce members at seismic parties, drilling rigs, and operating fields as important ingredient in the implementation of an effective workplace safety management program. The information in the handbook is derived from reliable international & local sources including regulations, statuary laws, treaties and guidelines.